Google has been dealt a huge blow in its bid to push its NFC payment technology after the Google Wallet app was blocked by the Verizon network. 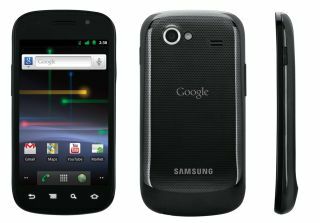 The carrier will not allow the app to be a feature on the Samsung Galaxy Nexus smartphone, which is the launch device for the new Android Ice Cream Sandwich operating system. The company said that it is waiting for Google to prove the app can provide "the best security and user experience" before allowing it to feature on any of its Android smartphones. However, the Wall Street Journal believes that Verizon's own plans to join forces with rival networks to create its own mobile payment system could be behind its decision to block Google Wallet. Verizon, along with AT&T and T-Mobile, plans to begin trials for a payment service called ISIS, which is expected to begin trials in 2012. A Google spokesperson confirmed that "Verizon asked us not to include this functionality in the product." Currently, the Sprint network is the only carrier in the US allowing Google Wallet as it continues limited trials in some US major US cities.